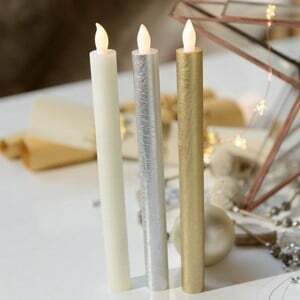 These LED candle lights are made of real wax, are battery powered and have a built-in timer that can be set to turn on for 8 hours and off for 16 hours. 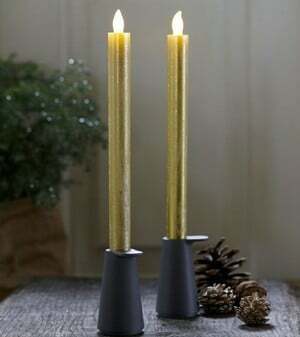 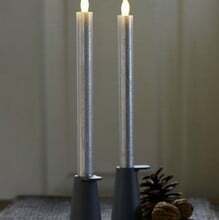 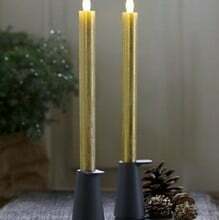 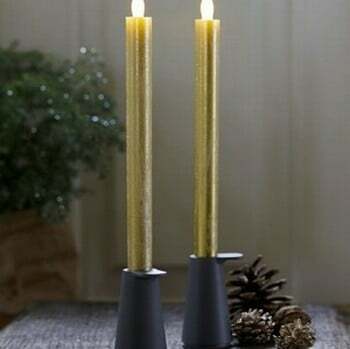 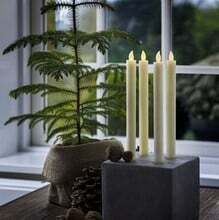 These tall LED candle lights are made of real wax, are battery powered and have a built-in timer that can be set to turn on for 8 hours and off for 16 hours. 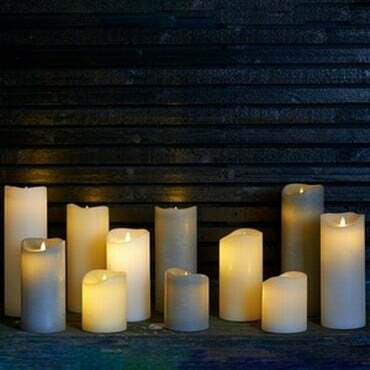 The bulbs glitters beautifully with a natural warm light creating a personal style in your home. 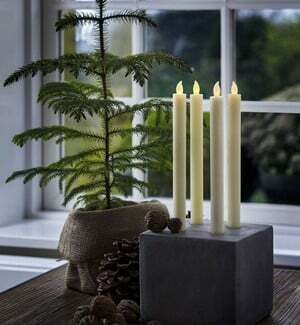 Each candle light uses 2. 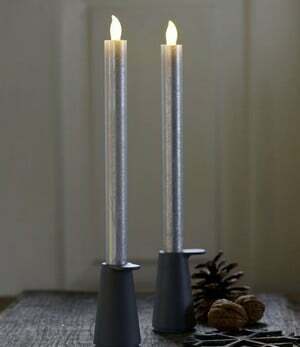 AAA batteries which must be inserted in the bottom of the crown lights.